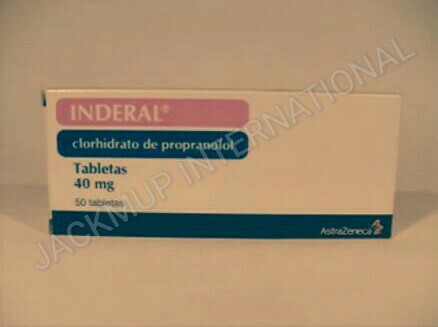 Description:- Inderal la 40mg tablet sr is used in the treatment of angina, arrhythmias, heart attack, increased blood pressure , anxiety and migraine. It blocks the action of certain chemical messengers on the heart and blood vessels. This effect reduces heartbeat, blood pressure, and strain on the heart following a heart attack. Propranolol may cause dizziness and lightheadedness. To avoid this, get up slowly after sitting or lying down. The Propranolol may affect your blood sugar and cover up the symptoms of low blood sugar if you have diabetes. Propranolol may reduce blood flow to your hands and feet, causing them to feel cold. Smoking may worsen this effect. Dress warmly and avoid the use of tobacco. Consult your doctor whether to continue Propranolol before any scheduled surgery. It is not the first-choice treatment for high blood pressure according to the latest guidelines, except if you have a heart failure or heart disease. Adults over the age of 65 may be at greater risk for the side-effects.